This post is sponsored by ZAK Body Deodorant. All opinions and pictures are my own. 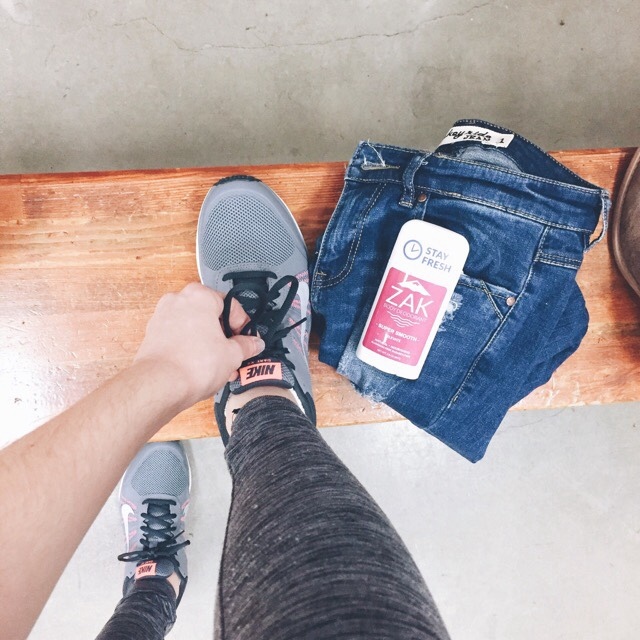 A few months back, I reviewed ZAK Body's original formula and I loved their Elevate scent. I loved the feel, and I loved the way I felt while wearing it. Their new formula is missing some of the things that I loved about their original formula, such as the bentonite clay, baking soda, and arrowroot powder. 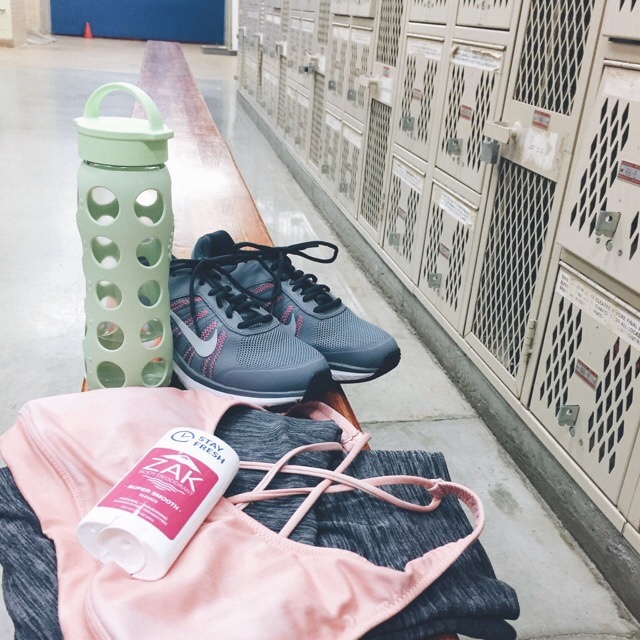 Their Super Smooth formula is completely plant based, and with the use aloe leaf juice, essential oils, and cucumber oil, it is light and keeps you smelling beautiful all day, even through an intense work out. ZAK Body Deodorants never have aluminum in their products. What is the big deal about aluminum anyway? When aluminum is found in deodorants, you can usually read on the label, "antiperspirant" or in other words, it doesn't allow you to sweat. Our bodies are meant to sweat. It is a natural way to release toxins, and to cool our bodies down. It is a natural process that is essential for good health. It isn't always a pleasant feeling to sweat, but when you don't sweat is where some problems can form. Aluminum clogs your apocrine glands, which are your sweat glands, blocking the release of sweat and other toxins. This allows for sweat and toxins to build up in your glands, which can cause some interesting skin issues. Aluminum has also been linked to Alzheimers disease, and breast cancer, fortunately, studies have shown that aluminum is not directly linked to Alzheimers or breast cancer, but it is still a good idea to steer clear of aluminum in your deodorant. 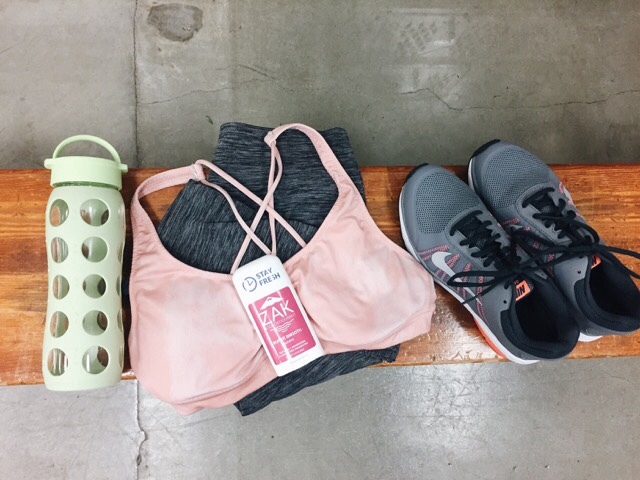 Let yourself sweat. I am still in love with ZAK Body Deodorant's scent in Elevate. It is a scent formulated for women, and it is invigorating, and also calming at the same time. With the use of Rose, Geranium, Sage, and Vanilla essential oils, it calms the mind and works with our bodies naturally to remove toxins. I absolutely love that ZAK Body has kept sage essential oil, and sage leaf extract in their Super Smooth formula. Sage essential oil is such a great oil for women, as it works in balancing our hormones and keeping the mind and body balanced. With the stressors of classes, work, and upcoming, life-changing events, I need all the balancing help I can get. I love how strong the essential oils are in ZAK's deodorant. 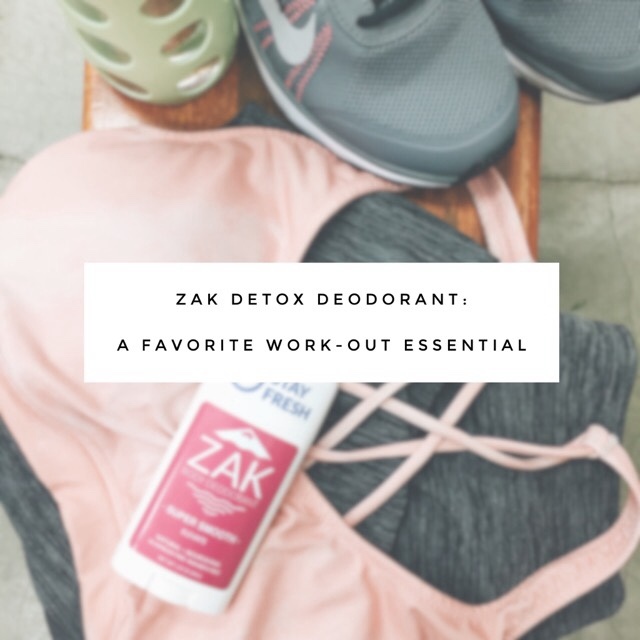 I don't feel the need to put on an extra body spray, or perfume when I am wearing ZAK's deodorant because I can smell the essential oils all day long. If I know that I smell great, I feel confident, and not just at the gym, but during my classes and at work. The aromatherapy that this deodorant provides is so lovely. As I said before, the essential oil blend is calming, balancing, and invigorating; which is the perfect blend for a work out I might add. With the Holidays coming up, stress is bound to occur. Grab yourself a ZAK Body Deodorant for a little bit of balance and calm in your life to keep you confident. Stay fresh the natural way, and let your pores breathe with ZAK's Super Smooth formula. Elevate is not their only scent; ZAK has a deodorant formulated for men, and a deodorant that is unscented as well. Use my code ZAKBAREBLUE20 to get 20% off your purchase! Also, I am giving away one stick of ZAK's Body Deodorant to a lucky winner. Winner will be chosen on November 22nd. This post is sponsored by ZAK Body Deodorant. All pictures and opinions are my own. Thanks !!! It's going to be so much fun! You will like to see more fun from here.